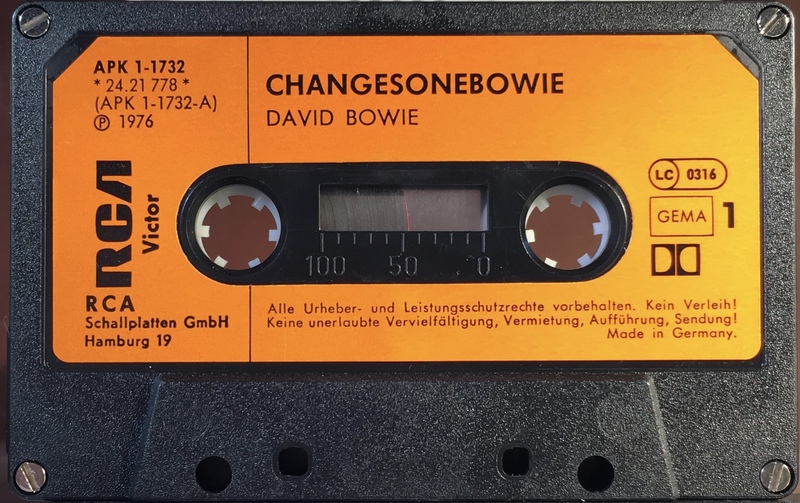 Changesonebowie: Germany; RCA Victor, APK1-1732/ 24.21778 CP; 1980. Full picture cover bordered in purple; white spine and rear panel. White inner panel bordered in purple. The cover is on glossy folded paper and the rear is blank. 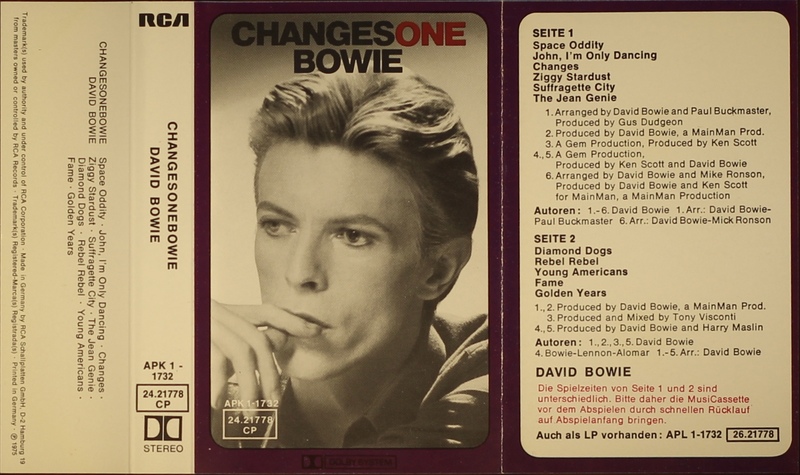 Track list on rear and inner panel, tries in English and information in German. 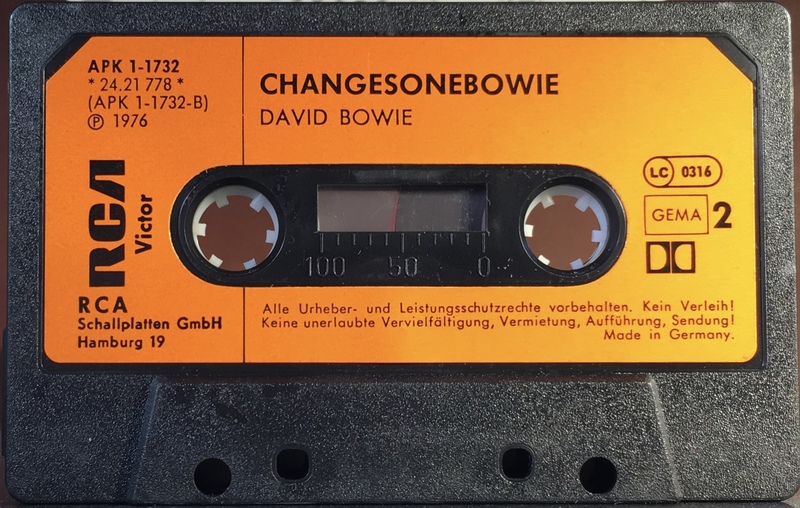 Orange paper label on a black shell with solid black RCA.